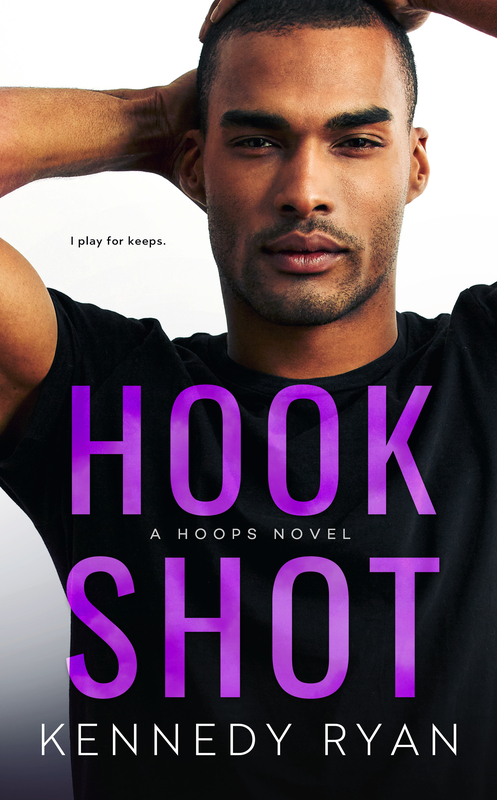 Hook Shot is the third book in the Hoops series by the incredibly talented and fabulous Kennedy Ryan. 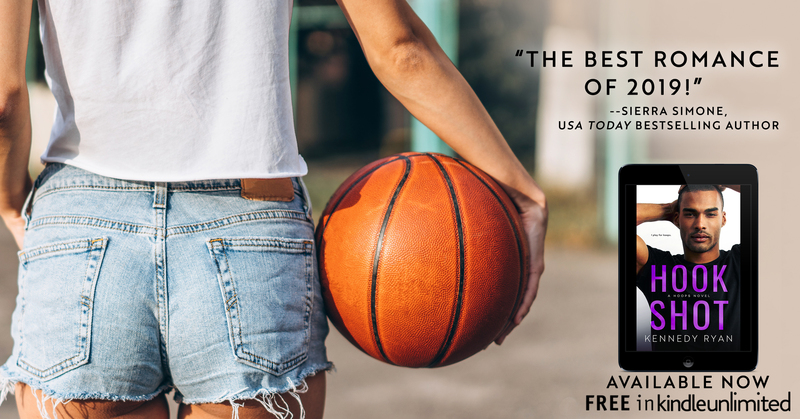 If you haven’t read the series, it can be read as a standalone, but you should read them all, including Hoops Holiday because they are all fantastic. 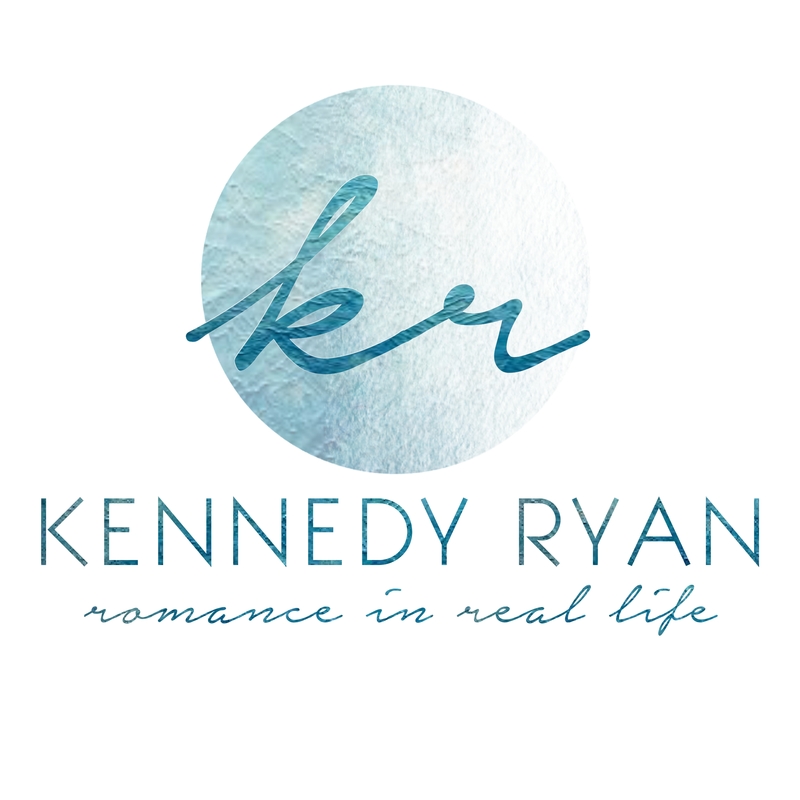 Kennedy has this way with words where when you are reading they float around inside your heart and soul and you can actually taste them. Her lyrical prose is so far above the rest that it’s not an exaggeration to say she’s one of the best writers I’ve ever read. The way she uses words to make you feel. The way her characters become a part of you. The way her stories stay with you forever. I read a lot of books, but I always remember her books, her characters and their struggles. They just become part of your heart. We have met both Lotus and Kenan in the previous books and when they met there was instant chemistry. Now it’s their turn. Kenan is living in NY for the summer to be near his daughter. He’s a dedicated father and veteran basketball player. He likes the quiet, his routine, his jazz music. He’s happy. But the second he sees Lotus he knows there’s something pulling him toward her. Yes, she’s gorgeous and he wants her in his bed, but it’s more than that. He wants to know her. Talk to her. Learn everything about her. Even if it’s just as friends. He’d wait forever for her. Lotus isn’t looking for serious. She’s lived too much. Has too many goals. But Kenan isn’t giving up. After their first kiss, Lotus can’t keep saying no. They have obstacles in their way, but they are two strong, level headed adults and they aren’t going to let anything stop them from being together. If that’s what’s meant to be. Kenan and Lotus’s story is a long time coming and Kennedy gave us exactly what we needed.